These are delicious! I wish I had a picnic to take them to right now. The great thing is, there are so many different possibilities to add to the base recipe. They would also be really yummy with a cream cheese frosting. Try your own creation and let me know how they turn out! 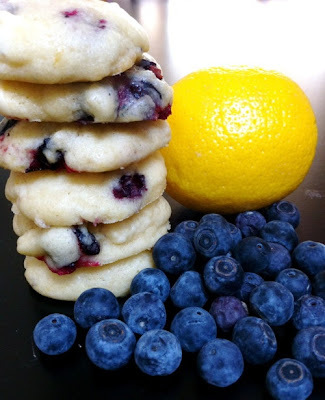 *Cake flour has a lower gluten content and allows for the light and fluffy texture of these cookies. However, you can use all-purpose flour and achieve similar results. Only use 3 cups minus 2 tbsp of all-purpose flour. Preheat oven to 350. In the bowl of an electric stand mixer, beat butter and sugar until light and fluffy. Add eggs one at a time, beat after each addition. If using any extracts, add and beat to incorporate. In a separate bowl, whisk together dry ingredients. With the mixer on low, slowly add the dry ingredients into the batter. Carefully fold in any mix-ins. Allow dough to cool in the refrigerator for at least an hour and up to overnight. Use a small scoop (about 1 tbsp size) and place rounded balls of dough on a cookie sheet lined with parchment paper or foil. Bake for 11-14 minutes, until the bottoms are slightly golden brown (the edges should not brown).